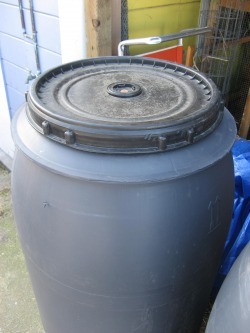 San Francisco is encouraging rainwater harvesting with discounts on rain barrels at the Urban Farmer Store. Learn more (link to SFPUC). Email us if you would like to learn how to set up a rainwater catchment system. With the right filters, rainwater is safe to use for irrigation and other household uses.